DJ Cuppy is an international disc jockey, record producer and singer of Nigerian origin who rose to prominence in 2014. She is also the daughter of billionaire oil business tycoon, Femi Otedola. DJ Cuppy was born Florence Ifeoluwa Otedola to Femi Otedola and his wife, Nana Otedola, on the 11th of November 1992, in Lagos, Nigeria. She is the second child of four children born to her parents. Her other siblings are Olawunmi Christie, Prince Fewa, and Temi Otedola. The alias Cuppy came out of her love for cupcakes, red velvet to be precise. In fact, her record label is aptly named Red Velvet music group. 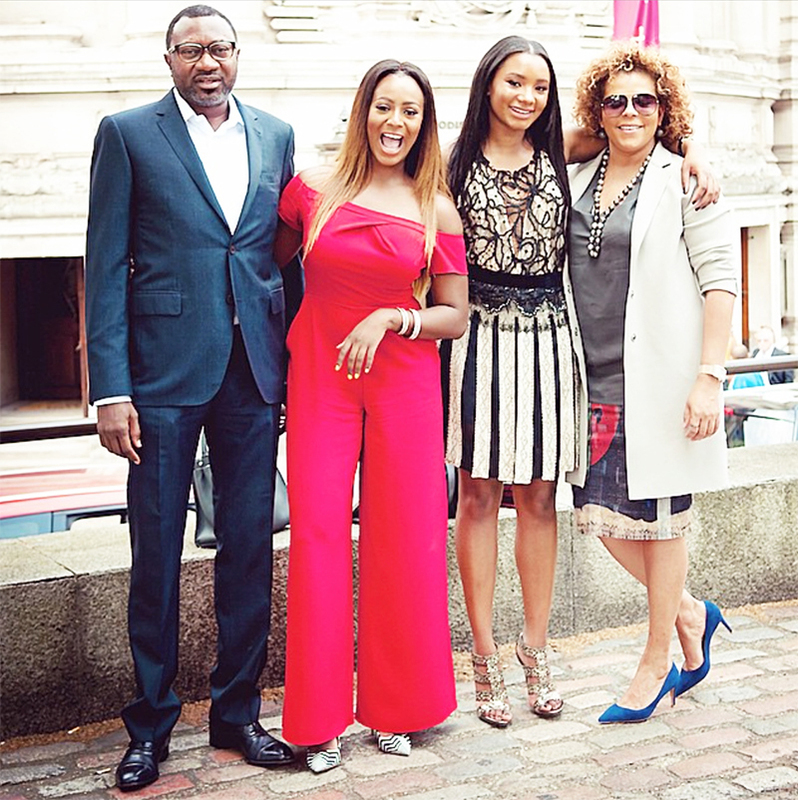 Having completed her elementary education in Lagos, DJ Cuppy and her family moved to the United Kingdom where she sat for her GSCEs and A’ levels. She went on to study Business and Economics at the fourth oldest higher institution of learning in the UK, Kings College London, graduating from the university in 2014. During her college years, Cuppy became known for her DJing skills and was sought after to perform at clubs and event places in London. What first started out as a hubby when she was going to school, has now grown to be a full-blown career for the billionaire heiress. This led her to try to master the business side of the music industry by enrolling to study Music Business in New York, USA and then interning at Jay-Z’s Roc Nation headquarters where she got a first-hand experience on how the international music industry works. The Financial Times Luxury Summit hosted in Mexico where the 15 emerging economies, Nigeria being one of them, were discussed. 2015 Oil Barrons Charity in Dubai. Tattlers and Christie’s Art ball in London. MTV Africa Award – MAMA. She is the award’s resident DJ. Uncommon Sense with Charlamagne on MTV 2. President Muhammad Buhari’s inauguration in 2015 where she was the official ceremony DJ. In 2014, she launched her mixtape which was titled House of Cuppy. The mixtape featured both Afrobeats influenced songs as well as House type music. Artists like Tiwa Savage, Kcee, Naeto C, Dr. Sid, Alexandra Burke, Chidinma, Wizkid, Illbliss and Suspect were featured on it. The mixtape was launched in grand style, first in Lagos at an invitation-only event on Victoria Island, and then an even grander launch in London with a French theme that saw attendees dressed in outfits from the classical era. The London launch was also in celebration of her graduation from College. The following year, DJ Cuppy launched her second mixtape which was titled House of Cuppy 2. Like the first one, this one also had a star-studded launch in Lagos and featured songs by Olamide, Seyi Shay, AKA, P-Square, Yemi Alade and others. The mixtape was followed up with her first tour called “The Cuppy Takes Africa Tour”. DJ Cuppy aims to make the Forbes 30 under-30 rich list someday. In 2014, DJ Cuppy was branded a Nigerian tourism ambassador by the Nigerian Minister of Culture and Tourism as part of the “Fascinating Nigeria” initiative, a brand created to boost the tourism sector in Nigeria. Cuppy, as well as her younger sister Temi, were featured in a British Documentary titled Lagos To London: Britain’s New Super Rich. The documentary showed the expensive lifestyle and taste of both sisters and their journey to live outside their dad’s shadow. In 2015, she won the Nigerian entertainment award for Best female DJ. DJ Cuppy comes from a very wealthy family. She is the granddaughter of former Lagos State governor, Sir Michael Otedola. Her father is a billionaire businessman, entrepreneur, and philanthropist, who is also the chairman of Forte Oil PLC, an importer of fuel products in Nigeria while her mother, Nana Otedola, is the Managing Director of Garment Care. Cuppy has been in a couple of high profile relationships. She previously dated former Nigerian international footballer Victor Anichebe who currently plays for Beijing Enterprises. She is currently dating music entrepreneur Asa Asika. Since coming into the Nigerian music scene, DJ Cuppy has been one of the most hardworking females in the industry. It is very clear to see that she is not reliant on her family wealth as she looks to build her very own empire. It is estimated that she is worth around $200,000.